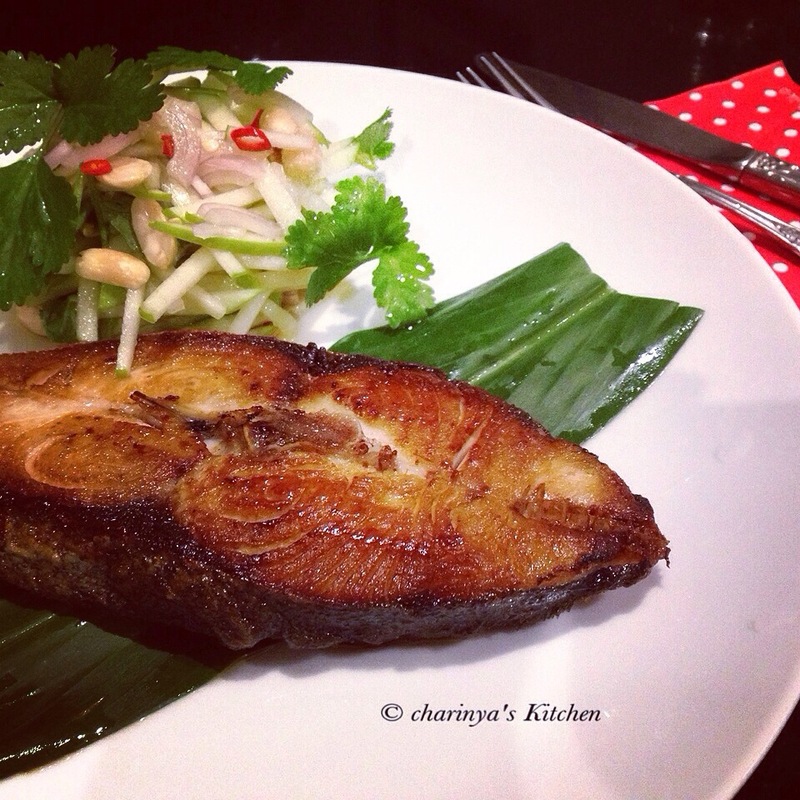 Fried king mackerel with green mango (Apple) salad. • Mix 1 tbsp fish sauce with 1/2 tbsp palm sugar and set aside. • Fry king mackerel fish until brown. • Remove fish from the pan and quickly cover with the mix of fish sauce and palm sugar. Set aside. To make the green mango (apple) salad. 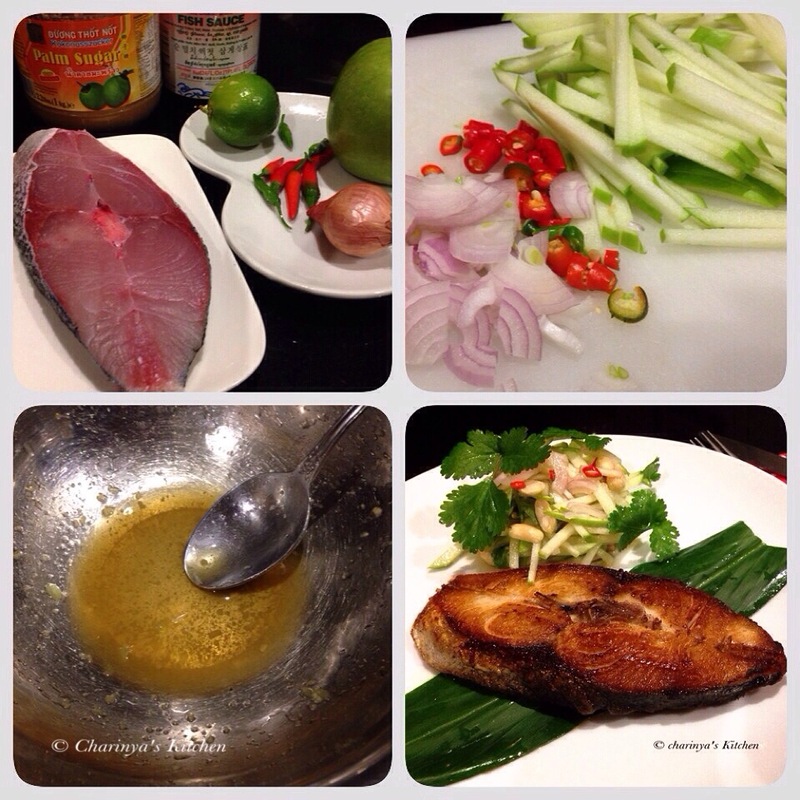 • In a bowl mix ~1 tbsp of fish sauce with ~1/2 tbsp of palm sugar then add lime juice. Taste to balance the flavour. • Add green mango (apple), sliced shallot, roasted peanut and chilli then top with coriander.